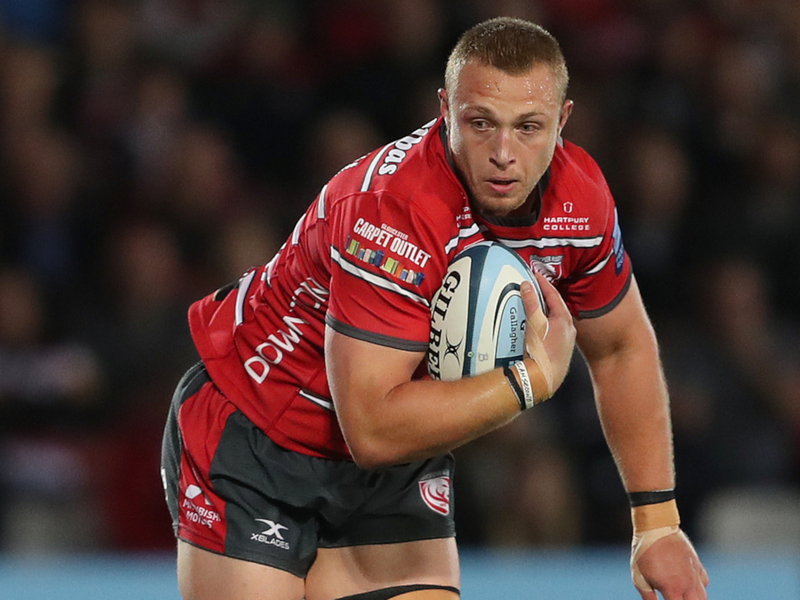 Gloucester produced an outstanding performance after the interval to take a large step towards sealing their position in the Premiership’s top-four following a 27-23 triumph over rivals Bath at Kingsholm. Despite the end result, Todd Blackadder’s men were excellent in the opening quarter, going 17-0 ahead via Ruaridh McConnochie and Tom Dunn tries, while Freddie Burns added seven points off the tee. The Cherry and Whites gave themselves hope going into the second period through Josh Hohneck’s effort and they controlled much of the final 40 minutes. As a result, they managed to secure the win via Ruan Ackermann, Henry Purdy and Tom Seabrook tries, which took them closer to making sure of a play-off place. Burns did add a penalty and drop-goal after the break, but the visitors had to settle for a losing bonus-point. Bath’s inconsistent season duly continued, but they have often enjoyed playing at Kingsholm over recent seasons and Blackadder’s men were exceptional in the first 20 minutes. They played with tempo and Gloucester failed to truly cope as McConnochie opened the scoring via Burns’ well-executed cross-field kick. The fly-half added the conversion before he was successful off the tee minutes later for a 10-point buffer. Blackadder’s charges were rampant with their big ball carriers causing a number of problems for the hosts and Dunn, supported by the excellent Sam Underhill, took them over the line. A 17-0 lead was justified given their dominance but the Cherry and Whites proceeded to have the better of the second quarter. Bath did well to hold out initially but, with the clock in the red, Hohneck crossed the whitewash. Gloucester took that momentum into the second period and, following Beno Obano’s yellow card, Ackermann touched down to reduce the arrears to three points. Although Burns gave the Rec-based outfit a bit of breathing space with a three-pointer, Johan Ackermann’s team were playing some excellent rugby and a superb move ended in Purdy scoring. Billy Twelvetrees couldn’t convert to move them into the lead and it could have proven costly, particularly when the away side’s fly-half kicked a drop-goal, but the hosts reset and crossed the whitewash once again, this time through Seabrook. Gloucester were well in control in the latter stages and Twelvetrees added another effort off the tee to help them towards an excellent come-from-behind victory. That loss could be pivotal for Bath at the end of the season, but it was not necessarily catastrophic as Northampton Saints snatched a dramatic 20-19 triumph over fourth placed Harlequins. It was a tight game as the visitors went into the interval 13-6 in front via Ahsee Tuala’s try and a brace of Dan Biggar penalties. The Londoners appeared to take control in the second half, with Jack Clifford going over and Marcus Smith adding two three-pointers to his earlier efforts, but Alex Mitchell touched down and James Grayson converted to take Saints up to fifth, just four points below Quins. Meanwhile, Sale Sharks failed to benefit of Harlequins’ slip up after they were thrashed 39-17 by strugglers Worcester Warriors. It was a huge result for the Midlanders, who are now seven points ahead of bottom team Newcastle Falcons, after Josh Adams (three), Sam Lewis and Chris Pennell all touched down for a bonus-point win. Newcastle’s task was then made harder when Bristol stunned defending champions Saracens 23-21 thanks to Ian Madigan’s last-minute penalty. Steven Luatua and Dan Thomas had earlier scored for the West Countrymen while Tom Whiteley, Marcelo Bosch and Ralph Adams-Hale touched down for Sarries, but Madigan’s late effort took them further away from trouble.